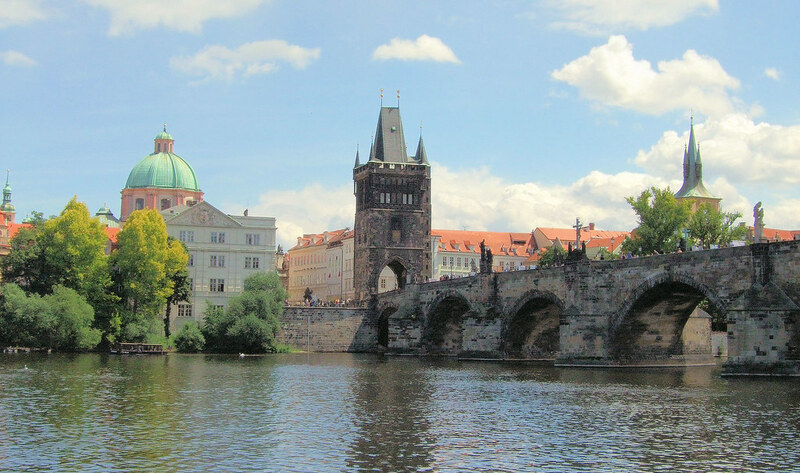 The Charles Bridge, also referred to as the Stone or Prague Bridge, spans the Vltava River, connecting the Old Town of Prague with Mala Strana near Prague Castle. It is not the first bridge to have been built across the river. The original bridge built in the 11th century was destroyed by the force of the river. A second bridge called the Judith Bridge, made for the first time out of stone, was constructed in the 12th century and was also destroyed by the flooding of the Vtlava. The Charles Bridge was constructed under the orders of the Holy Roman Emperor, King Charles IV in 1357. 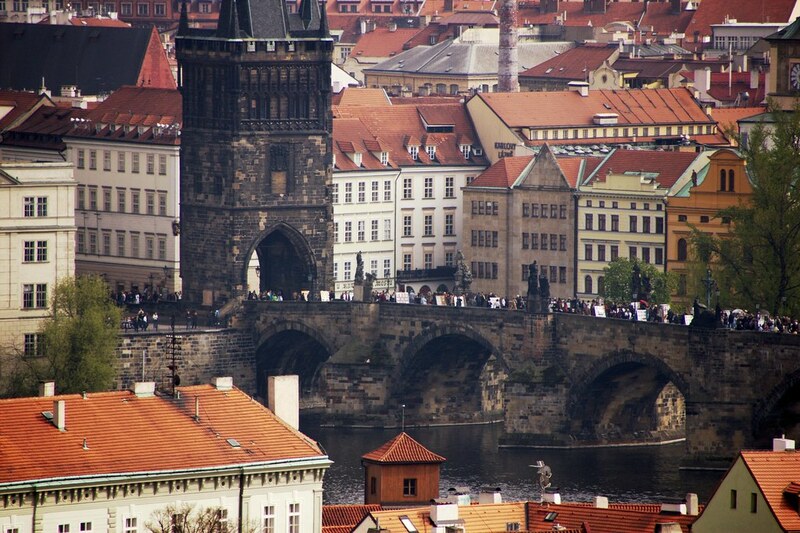 The torrid Vltava River has continued to do significant damage to the bridge, with several restorations taking place. 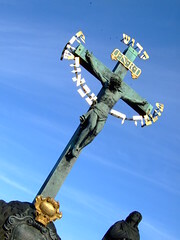 It is still undergoing reconstruction work today. The bridge is approximately 516 meters long and 10 meters wide. It is supported by 16 arches. Surrounding the base of each of them are ice and water breakers, which help to deflect the force of the water bombarding the arches. 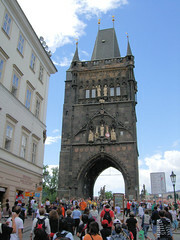 The bridge is the oldest in the city and is an excellent example of Gothic architecture. 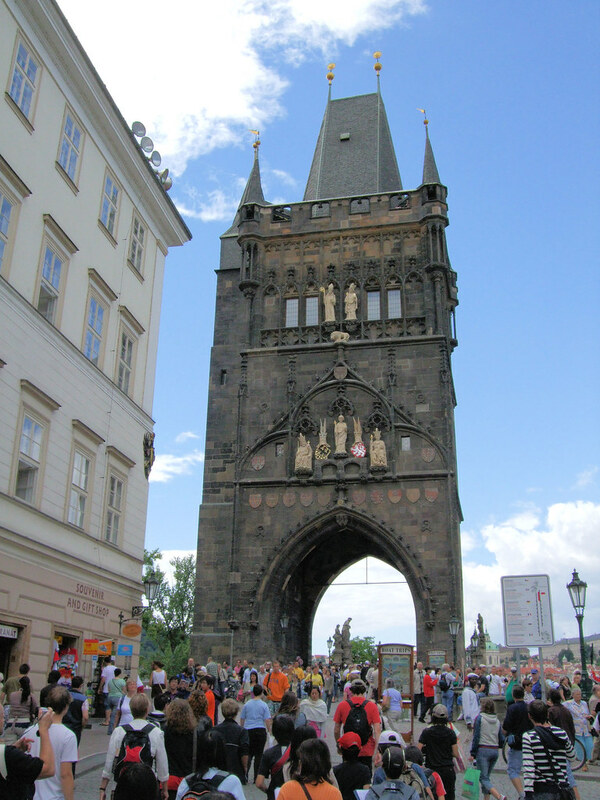 It has three towers along its length, two at the Lesser Town end, one of which is part of the Judith Bridge and another tower stands near the Old Town end. Along the length and on either side of the bridge are thirty statues. These are replicas of the original baroque style sculptures, many of which are now securely kept in the Lapidary of the National Museum. Up until 1965, various forms of transport were allowed to cross the bridge but it was feared that further structural damage could be done by the ever increasing traffic flow. 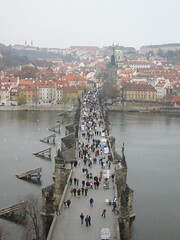 Since then, the bridge is open only to pedestrians. 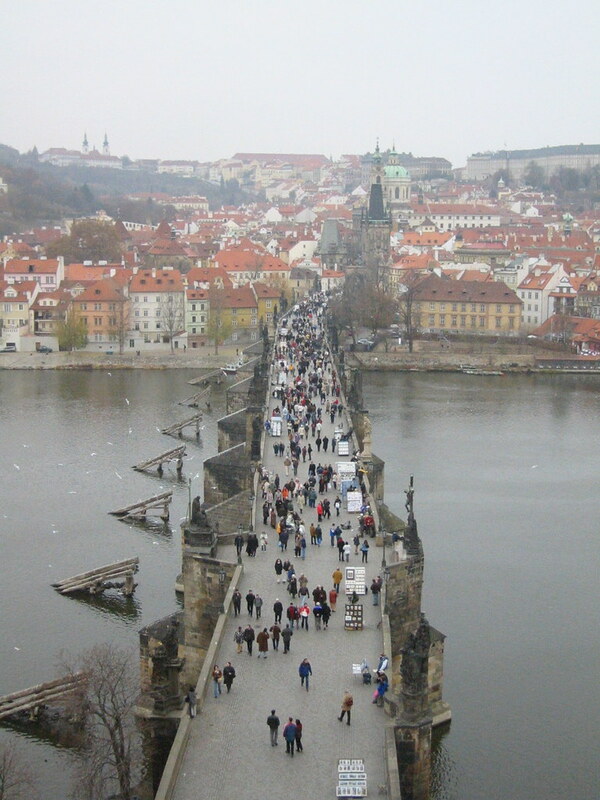 The bridge attracts many tourists and is one of the highlight attractions of Prague. Along the bridge, market sellers and artists have set up stalls, which are mainly frequented by tourists. The view from the bridge is magnificent, especially at night or in the early morning when the numbers of visitors are fewer than normal. 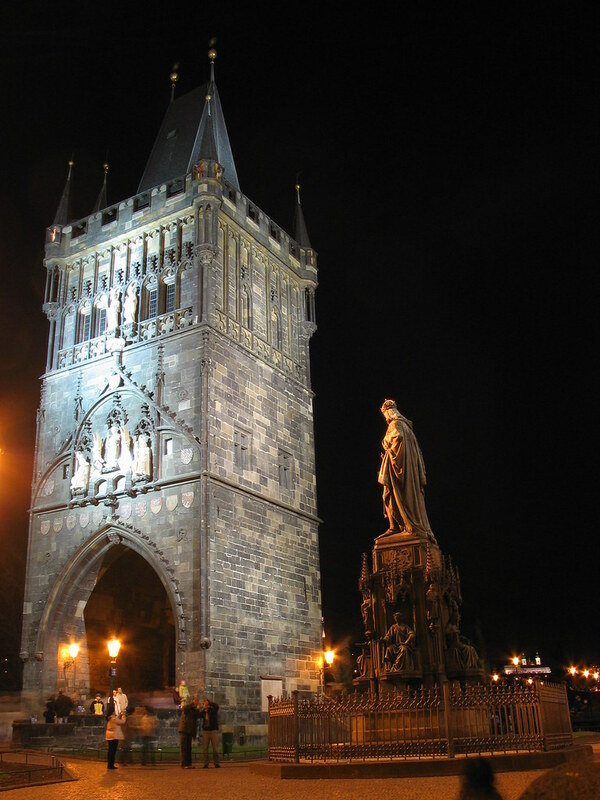 Have you already visited the Charles Bridge? If so, let everyone know what you thought about it by writing a review! No registration necessary. Just click here to start writing! 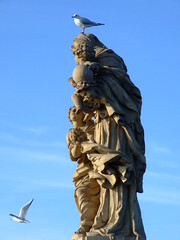 View all Charles Bridge Pictures.